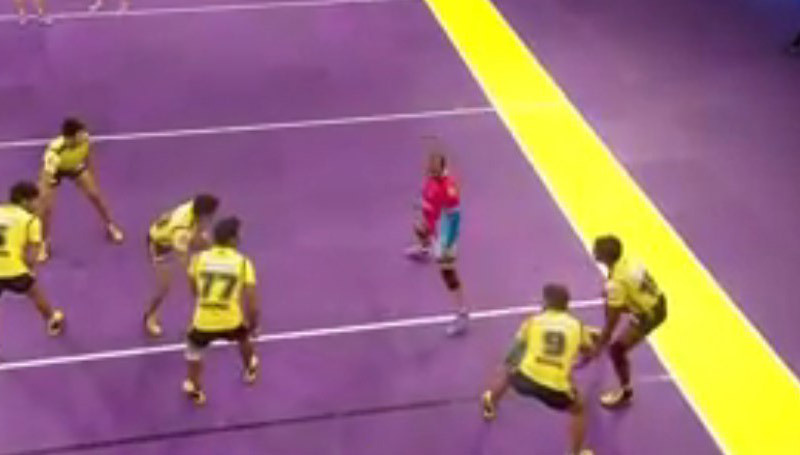 Pro Kabaddi Semifinal 2 Result: The Pro Kabaddi League Season 4 will end soon. Today, the Second semifinal has ended just now with the result of Jaipur Pink Panthers Win against Telugu Titans. Jaipur Pink Panthers will play the final match against Patna Pirates. Scroll down and check the Pro Kabaddi Semifinal 2 Result. Telugu Titans: The Telugu Titans picked their runner-up status as again by today’s match. The players of Telugu Titans played this match little back before of all other matches in this PKL Season 4. The captain of the team, Rahul Chaudhari has earned 8 points by touching the defender and scored one point on Bonus. Nilesh Salunke earned 2 points on Touch and four points on Bonus. Sandeep Dhull got 3 points from Tackle for his team and Sandeep Narwal scored one point by touch. Sagar B. Krishna, who scored the 1 point on the Tackle. Finally, the team scored 24 Points in Total. Finally, Jaipur Pink Panthers scored 34 Points and beat their today’s opponent. Jaipur Pink Panthers: Ajay Kumar alone earned Six points by touching their opponents for his team. Rajesh Narwal earned 3 points on Touch and One point on Tackle. Captain of the team, Jasvir Singh earned 7 points by touch and One in the Super Tackle and another one point on Tackle. Apart from these, Amit Hooda contributed Four points on Tackle. Ran Singh scored four points on Tackle. Finally, the team got 37 Points and won their today’s match against Telugu Titans. Jaipur Pink Panthers entered into the Final match on July 31st, 2016. And the Telugu Titans will play on the 3/4 Place match on 31 July 2016 against Puneri Paltan.